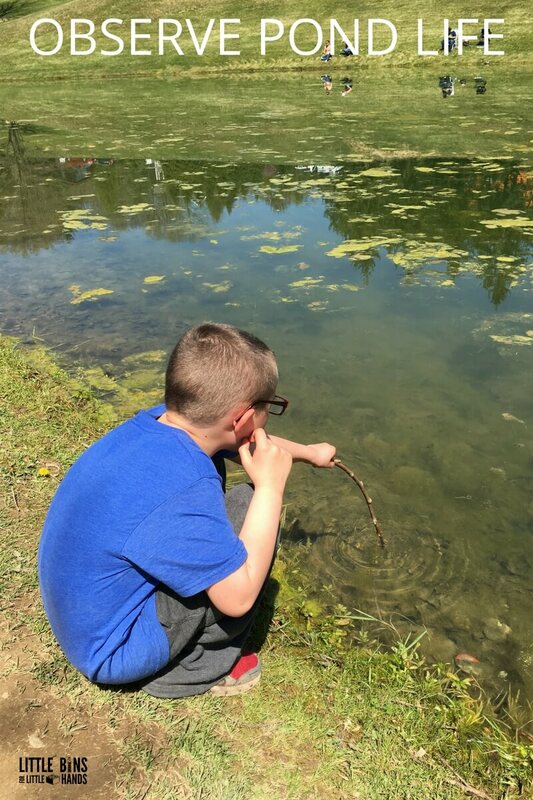 We might do a lot of cool experiments that require a bunch of materials that are indoor activities, but so much science can be found outside. 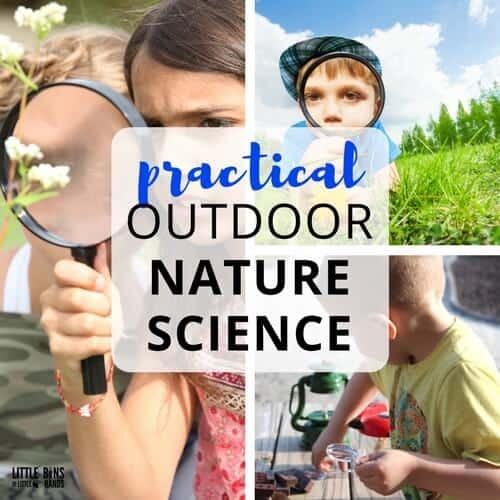 This is an awesome resource for outdoor nature science activities that are useful, practical, and fun! I hand picked a bunch of nature science activities and ideas. 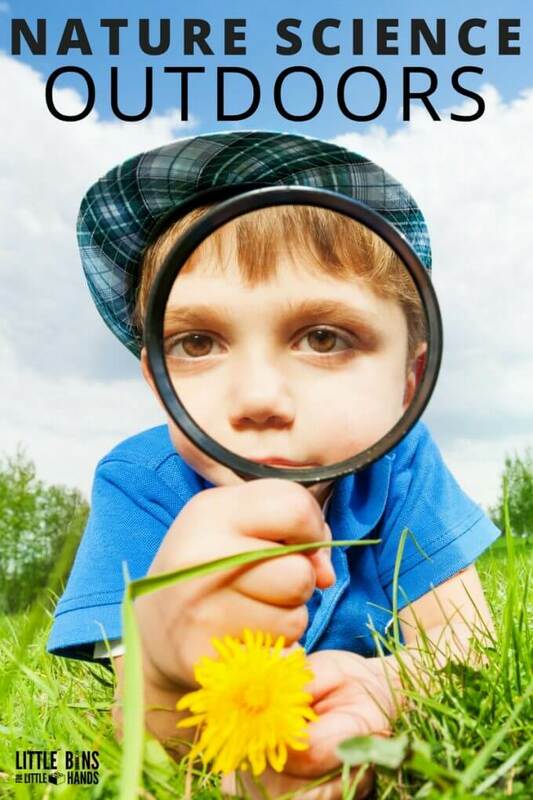 Make sure to get your kids outside to explore the world around them for your science time. Disclaimer: This post contains Amazon Affiliate links for your convenience. Simple science is right outside your door. Exploring, playing, examining, observing, and learning are key components for bringing science outdoors. From the grass under your feet to the clouds in the sky, science is all around. 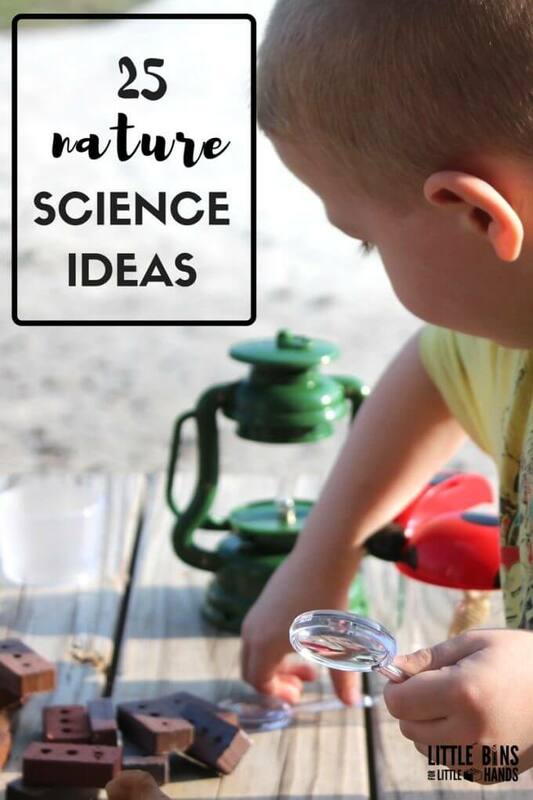 There aren’t a ton of supplies you need to try these outdoor nature science activities. What’s really needed is a touch of curiosity, excitement, and love of the outdoors to spark your kids love for outdoor science. Check out the world through a magnifying glass. 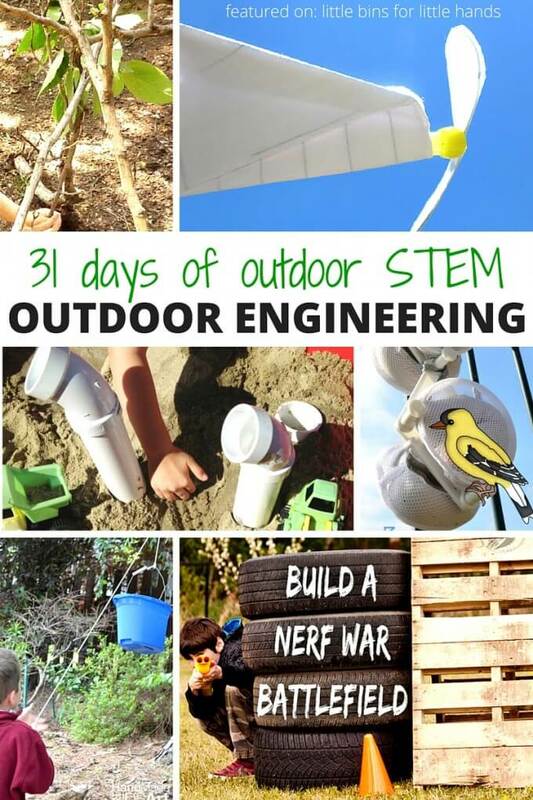 It’s one of our favorite outdoor nature science activities and STEM projects. Gather a few supplies to start and create a basket of nature science tools for your kids to have access too whenever they can. 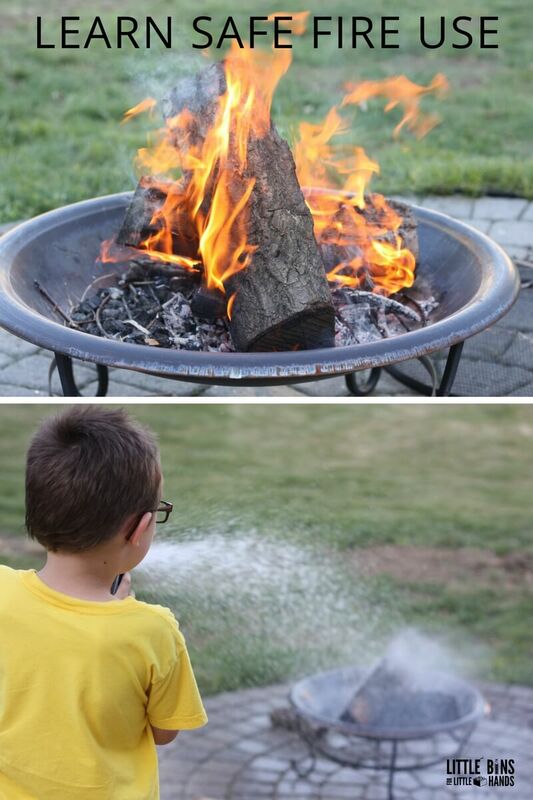 It’s a great way to leave out an invitation to explore outdoor science anytime. Terrific for those encouraging child led learning. You can also start a small library of kid’s nature books to encourage further research for everything they collect, find, and discover during their outdoor nature science activities. We have a few favorites already. Just getting outside and enjoying nature is a perfect introduction to science outdoors. 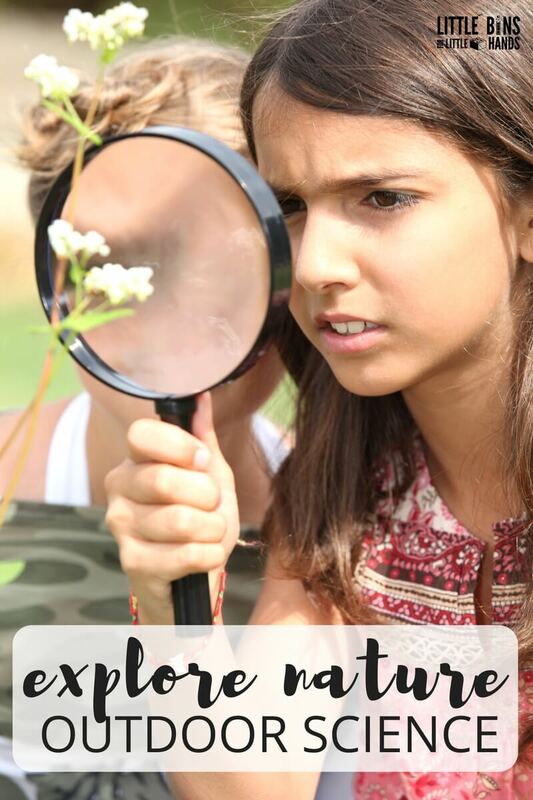 Check out favorite activities for exploring nature science outdoors. If you see a link in blue, click on it. There will be a fun activity, printable, or project to try! Go on a scavenger hunt. 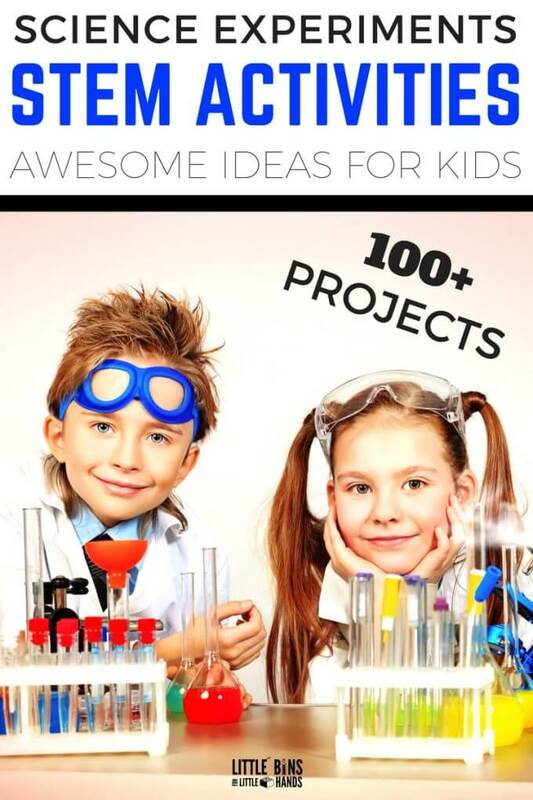 Check out great printable ideas. Investigate the soil. Dig up a patch of dirt, spread it out, and examine the soil in your yard. Try looking at soil samples from a couple different locations. Try out geocaching! Check out what’s in you area or near by for a new kind of adventure. 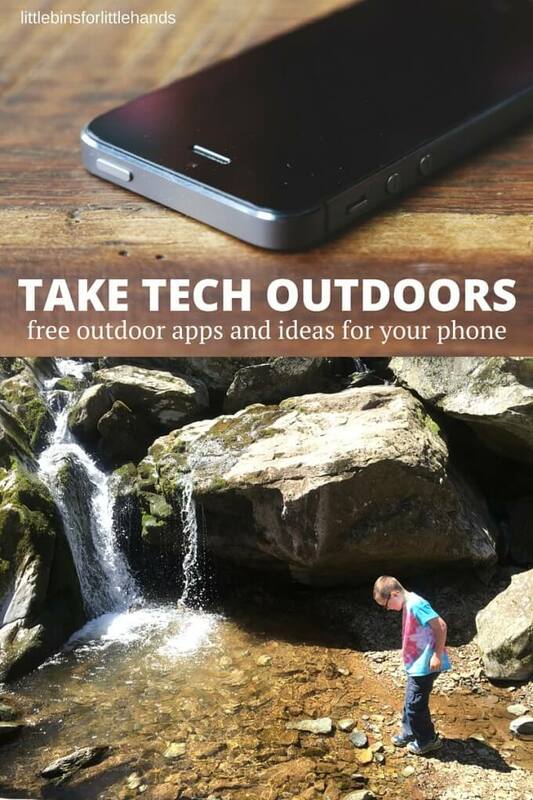 Learn more here with taking tech outside. Create your own sun prints for outdoor STEAM and then hang nature indoors. Be aware of your senses when you are out outdoors in different locations! Use and learn about your 5 senses in nature. Draw them in your nature journal! Start a nature journal. Either buy a blank note pad, composition book, or make your own. Idea: draw interesting things you observe while being outside from beautiful sunsets and flowers to cool looking bugs. Idea: pick a tree, plant, or insect around you to learn more about. Research and draw it. Create an informational book about it! 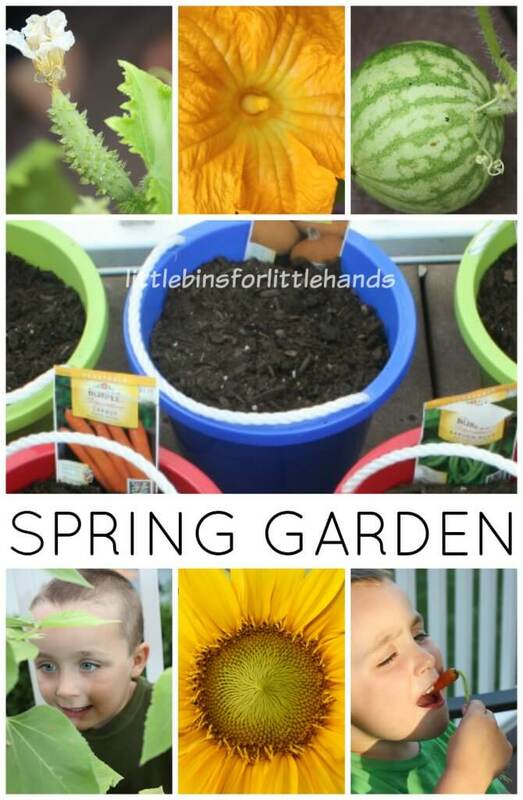 Get planting! Start a garden bed or a container garden. Learn about what plants need to stay healthy. We planted a container garden on our porch. You can see the fruits of our labor here. What kinds of weather patterns does your area experience? What types of weather are most common. Graph the daily temperature. Take a few weeks and get creative with this one! If you can, use an old camera or your phone and have kids take pictures of their favorite things in nature over the course of a month or so. Assemble a book and label the different pictures. Take up bird watching! 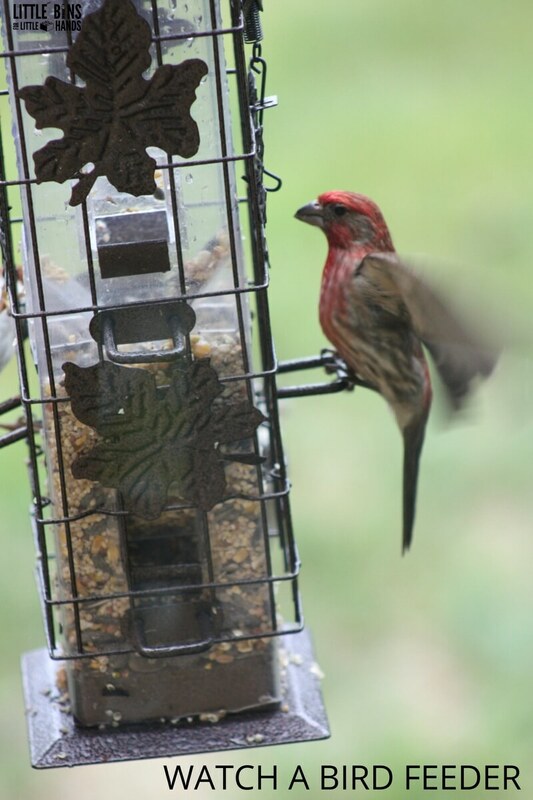 Set up a bird feeder, grab a book, and identify the birds around your house or classroom. Make a bird watching basket and keep it handy complete with binoculars and a chart of common birds for your area. Younger kids will enjoy this simple bird watching tally sheet! This a cool picture we captured at home. 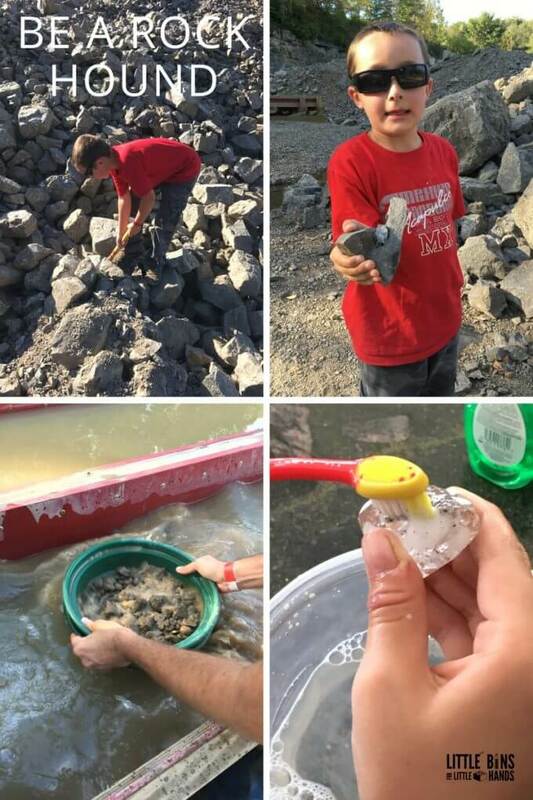 Start a rock collection and learn about the rocks you find. We mined for crystals and had a blast. You don’t always have to take the rocks home with you! We love to examine rocks on the trails too. 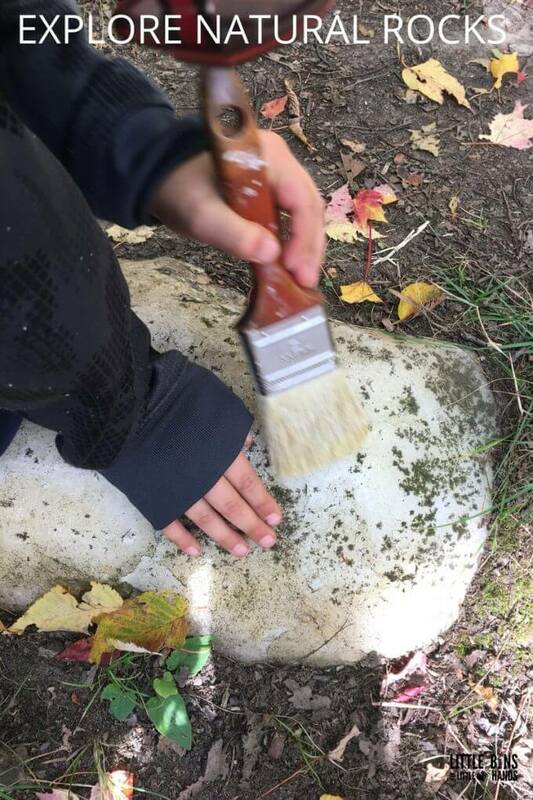 Bring a paintbrush to clean them off. It’s a great way to explore the outdoors in it’s natural state and leave no trace. Observe what ants like to eat. Definitely outdoors and only if you don’t mind ants! Build your own insect hotel. Participate in a trail clean up and learn about how litter effects the quality of animals habitats and health. You can also learn about erosion on trails. Learn about the Leave No Trace policy. Build bridges. Check out different types of bridges too! Build forts. What type of building style makes a strong fort? Build dams and learn when and why they can be useful. Can you build a nature boat that floats. Use only materials found in nature! Use natural materials to create a work of art for outdoor STEAM. You can try leaf rubbings, land art, or a simple masterpiece to hang on the wall. If possible with plenty of adult supervision, build a camp fire. Learn about fire safety, what a fire needs, and how to extinguish a fire. Roast a marshmallow or two if you have the time! There’s nothing quite like sleeping under the stars and listening to the sounds of nature at night. Learn about what animals are nocturnal! Camping with kids is a great way to immerse yourself in nature even if it’s in your own backyard. Take up star gazing. Grab a book of constellations and see which ones you can find. Here are some fun star gazing apps to check out! This list should keep you and your kids busy as long as the nice weather sticks around. Plus, so many of these activities can be re-done each season. It would be fun to compare your data from season to season. Or talk about why some things won’t work as well for your kids depending on the season. That’s a great time to look up videos and check out books on those things and see how other people might do them. Example sleeping outside in the middle of winter! 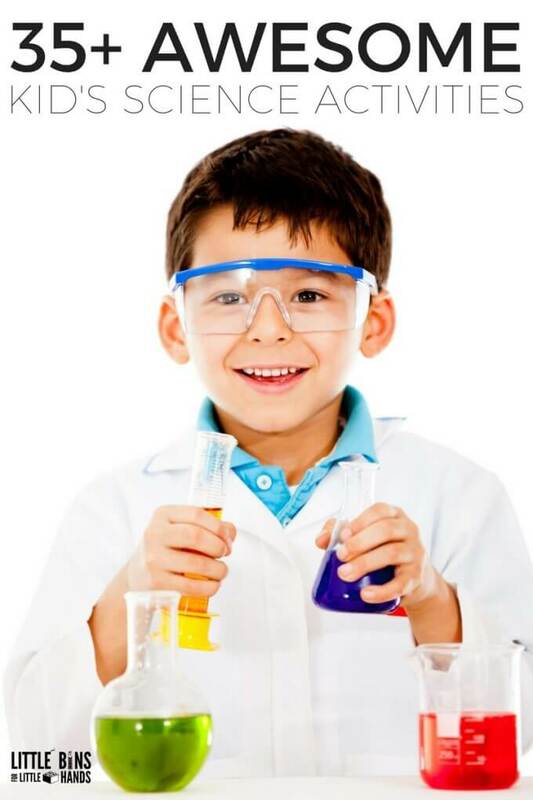 For science experiments and STEM activities all year round, click on the photos below! 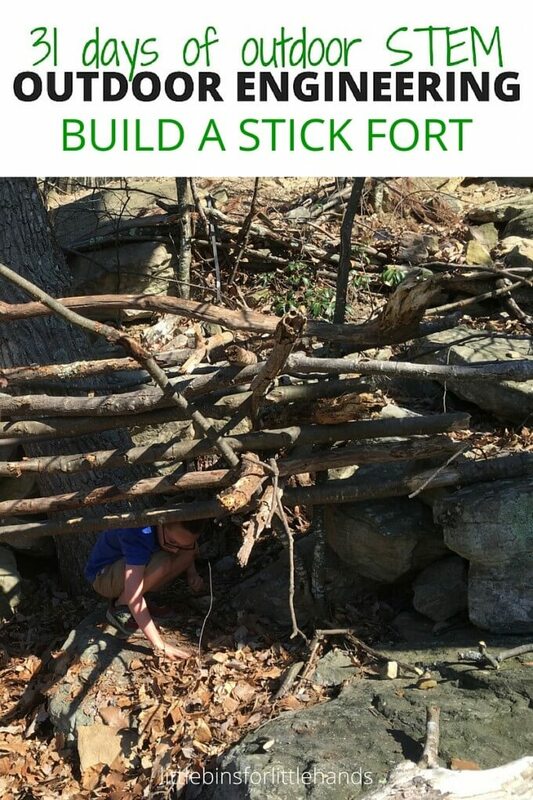 It is a lot of fun and can really help younger kids build up those hiking miles on their legs! wow! so clever though. a simple way for kids fun. I just love this idea. Such a creative thought. kids must love this idea. Thanks for such a good idea to share with us.